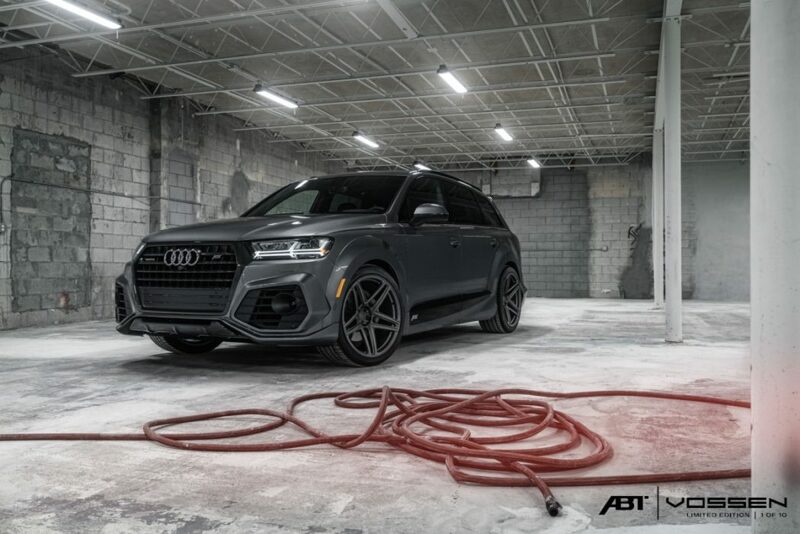 As hot as the luxury SUV market is these days, it’s no surprise Audi is having little to no trouble moving the second generation Q7. 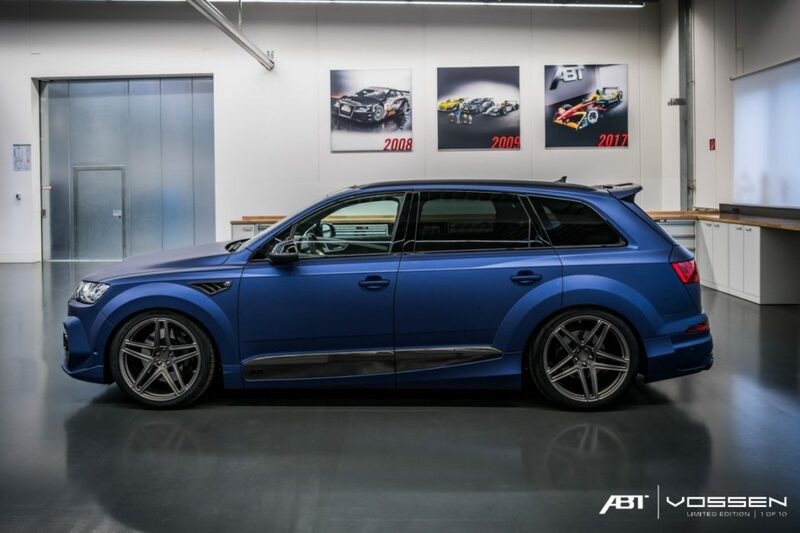 We’re betting it would move even more units if the SQ7 was available here in North America but, considering it’s only available with a twin-turbocharged and electrically-supercharged 4.0L TDI diesel V8, it’s more likely that a flying pig will drop a winning Powerball ticket on your head than Audi bringing that beast here. 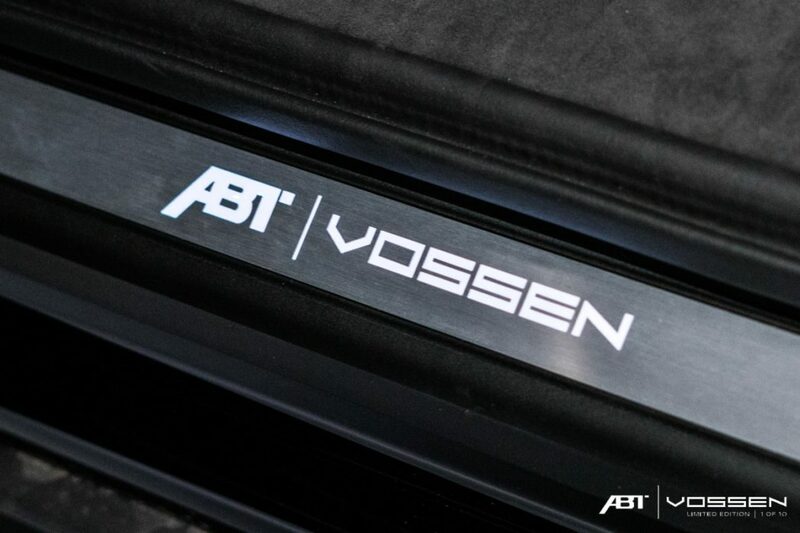 In any case, the Audi whisperers at Abt are ready and waiting to give Ingolstadt’s big peoplemovers some additional panache…and they’ve convinced Vossen Wheels to join the fun. 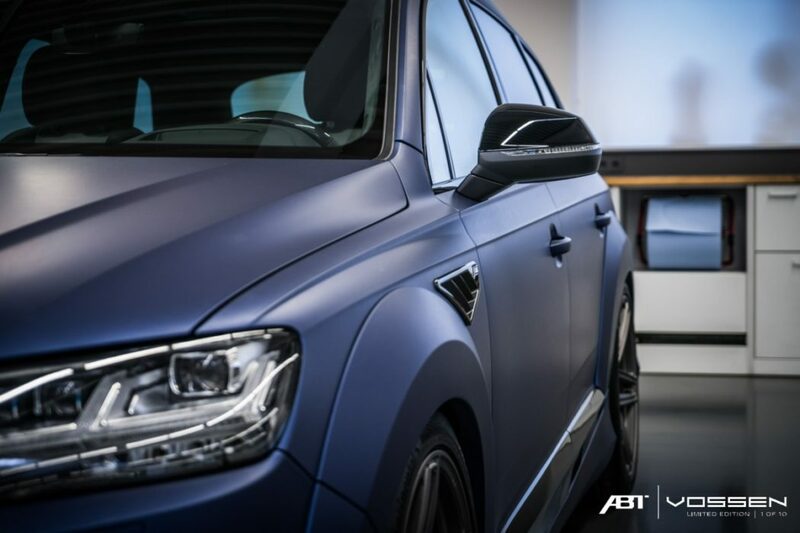 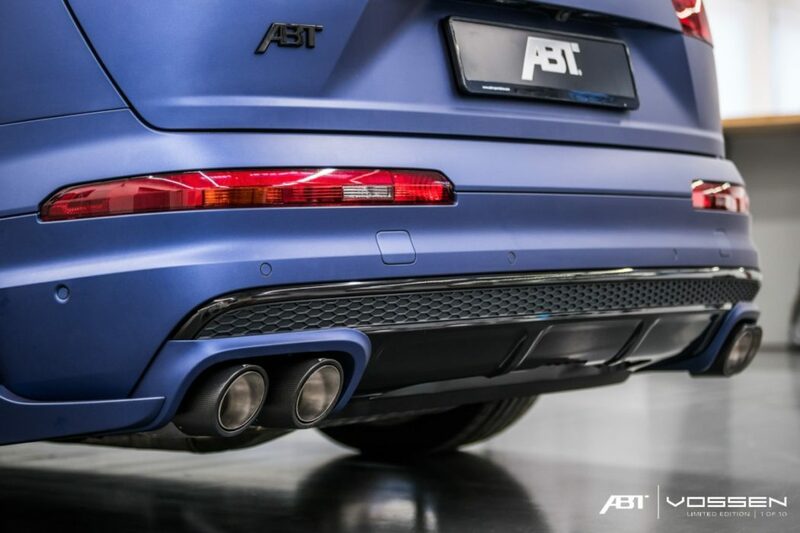 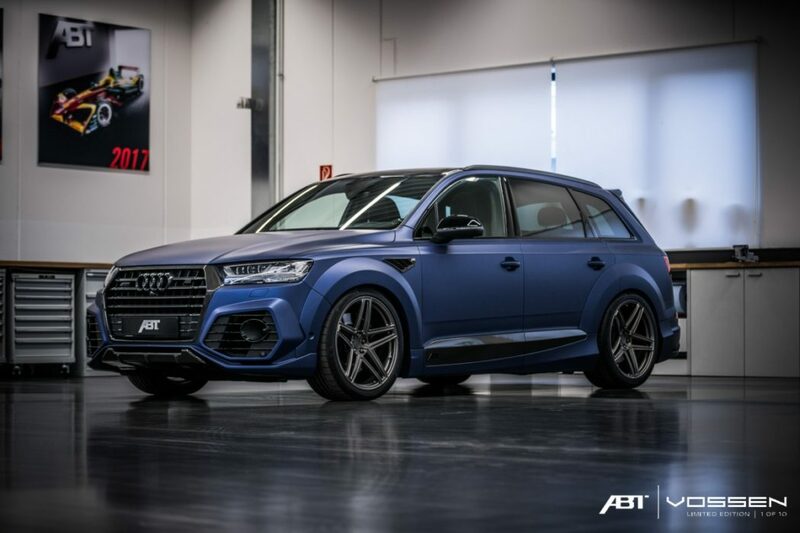 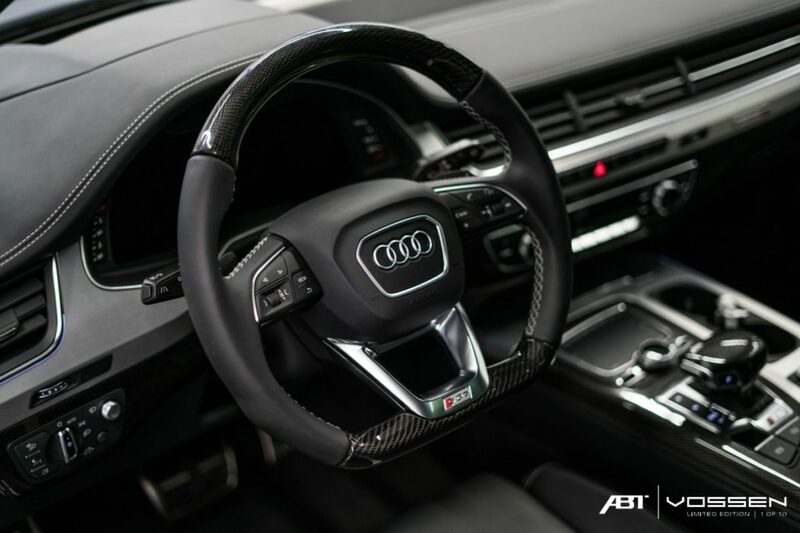 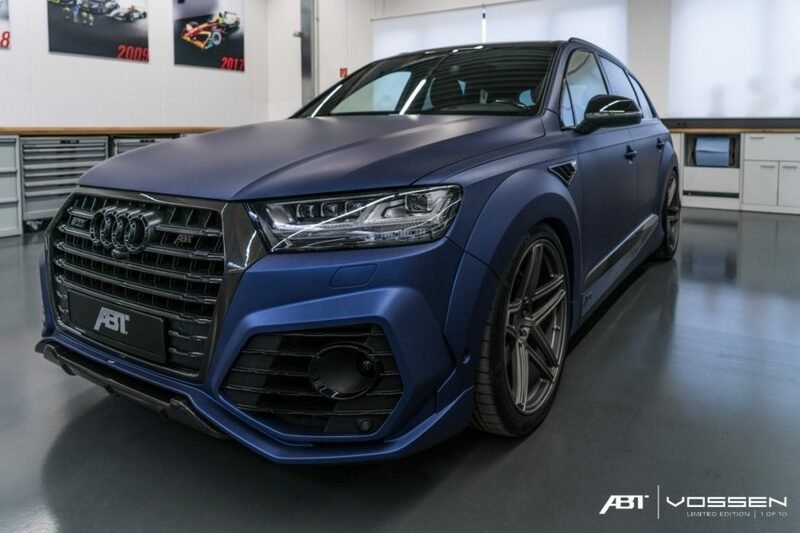 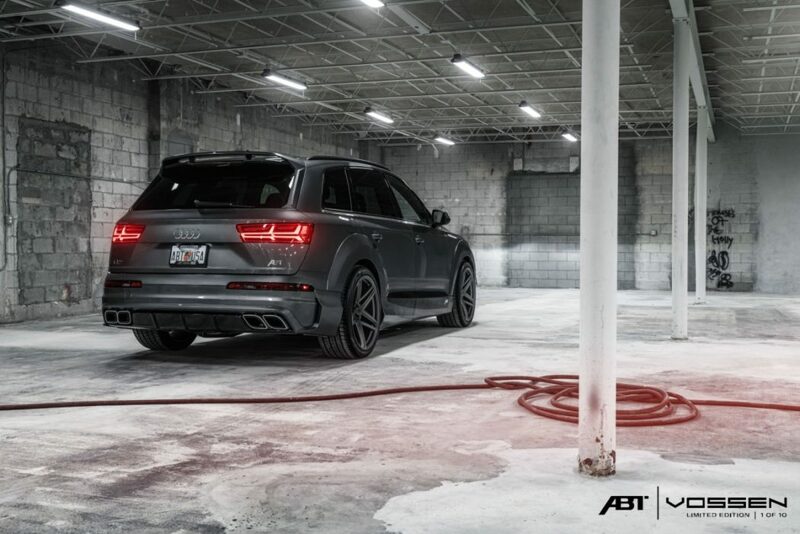 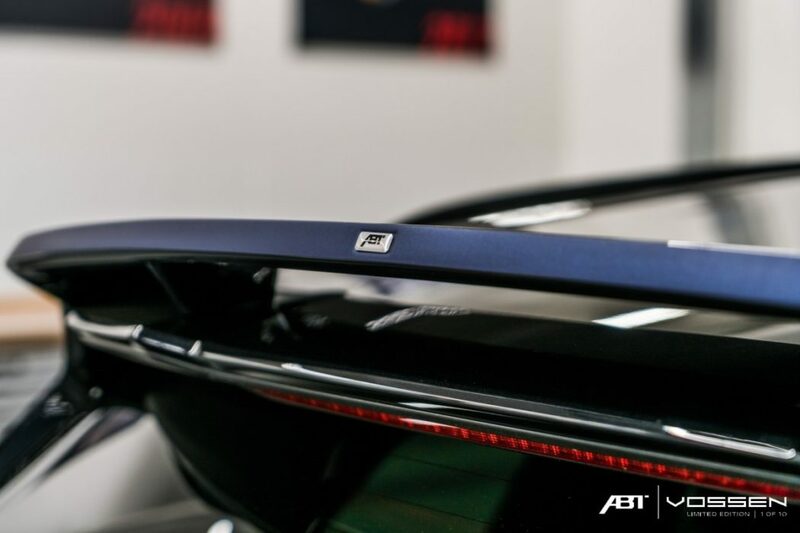 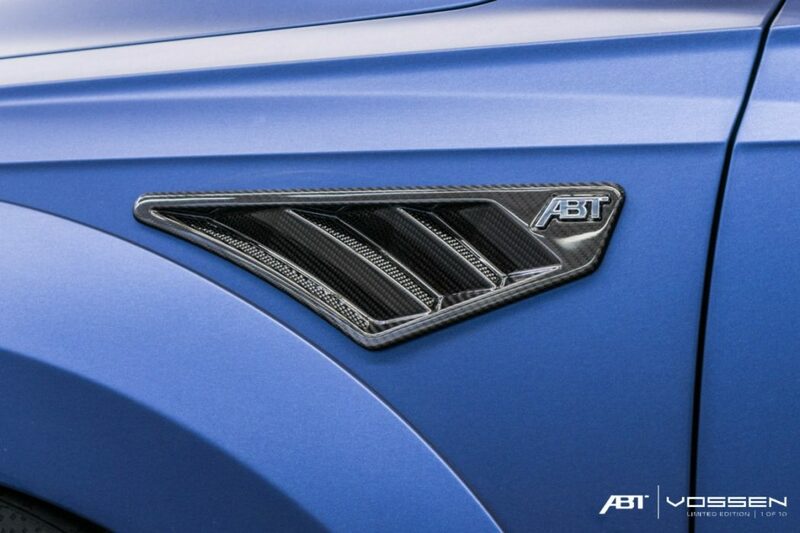 The Abt body kit adds wider front and rear fenders, an ultra aggressive front fascia, deeper rear fascia, side skirts and a substantial rear wing. 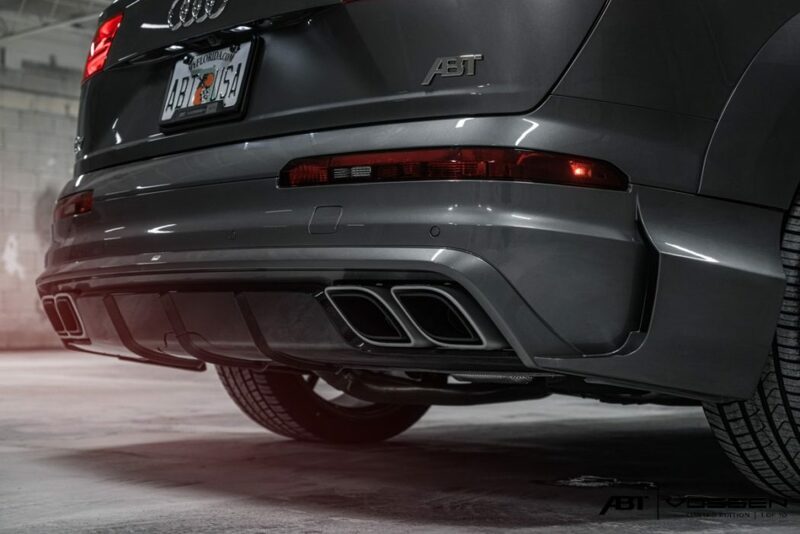 There are also custom quad exhaust tips: Carbon fiber clad round ones for the SQ7, and rhomboid polished ones for the Q7. 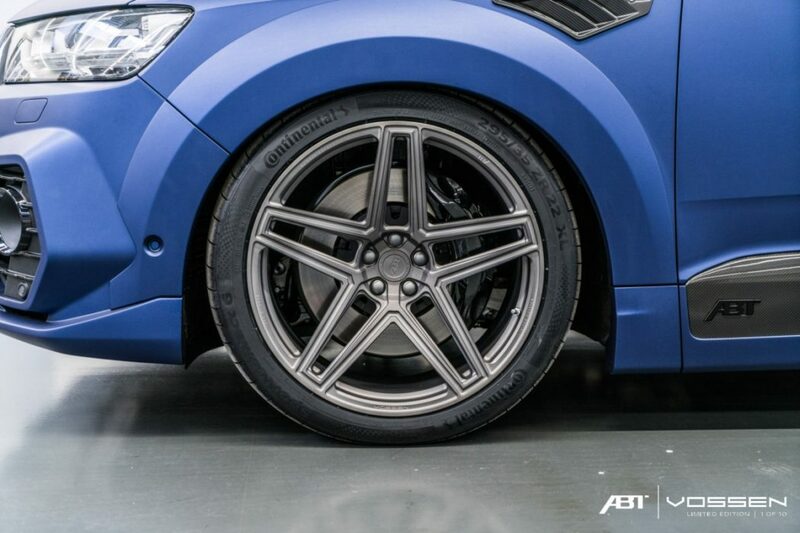 Abt also lowers the ride height by 0.8”, which helps the 22” Vossen Forged AVX wheels do an even better job of filling those fenders. 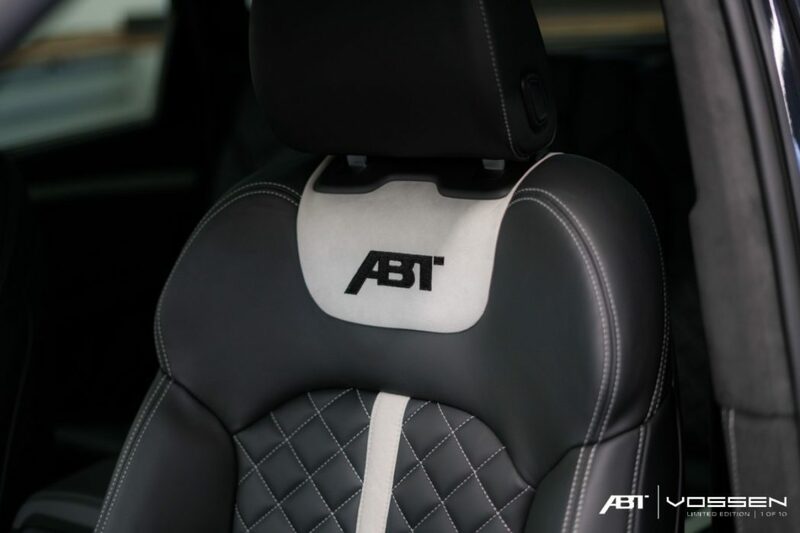 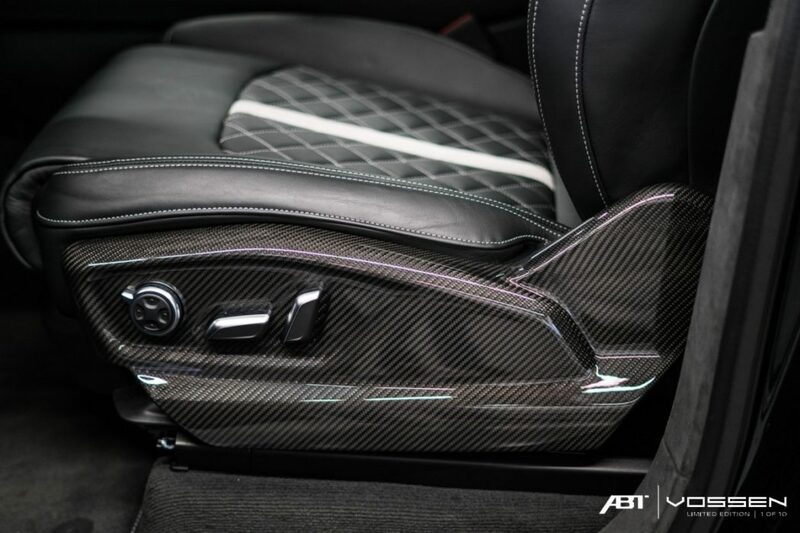 And when you aren’t admiring the outside, you can hang out inside, and Abt can dress that area up as well with custom sill plates, quilted leather upholstery and more. 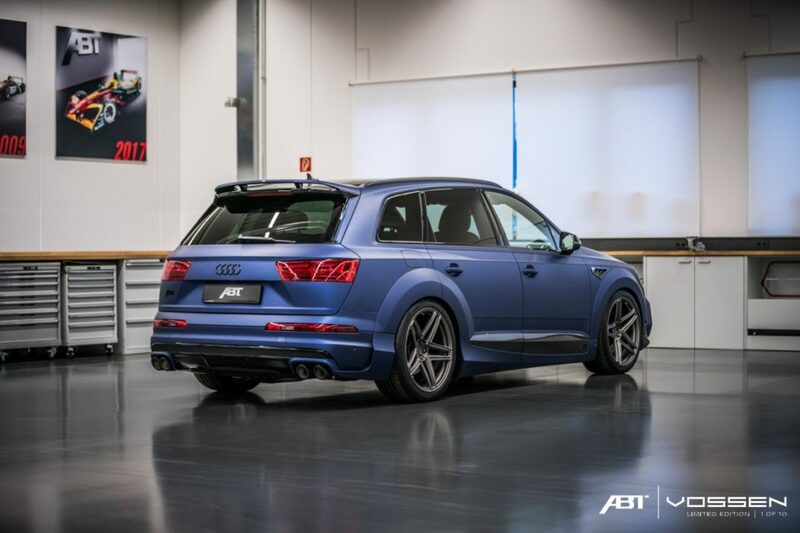 Very nice…even nicer if you can get one of the 10 complete turn-key conversions Abt will be doing, which is the only way to get those Vossen rims finished in stealth gray, but don’t despair if you can’t procure one of those, as all the other parts will be available a la carte.